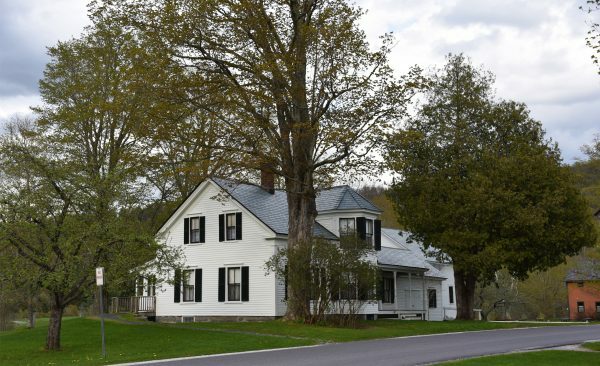 CHESTER, VT – It isn’t a ride I could do every day; there are just too many echoes of my past. I have to be in the mood for a ride like this, running parallel histories through my mind as the road unwinds. It causes me to struggle with keeping my focus on these truly amazing roads. 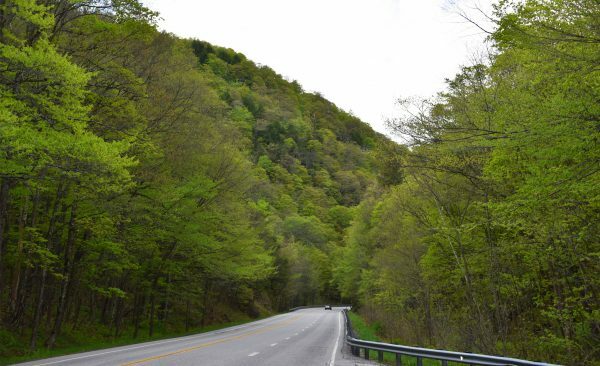 Vermont Route 103 winds up through Proctorsville Gulf, a notch in the hills that feeds into the Black River Valley and Okemo Mountain. A parallel pass blasted from the rock for the railroad lies to the East. This was the engineering feat that is remembered for the Phineas T. Gage tragedy. While tamping a dynamite charge into a drilled hole with an iron rod, the load exploded, driving the rod through Gage’s chin and up through his skull. The rod was embedded, yet Gage survived it but was never the same thereafter. His skull is on display at the Harvard Medical School. I shake off the thought and lay into the throttle, the Triumph’s peashooter pipes emit a perfect pitch that echoes off the rocky sides of the gulf. 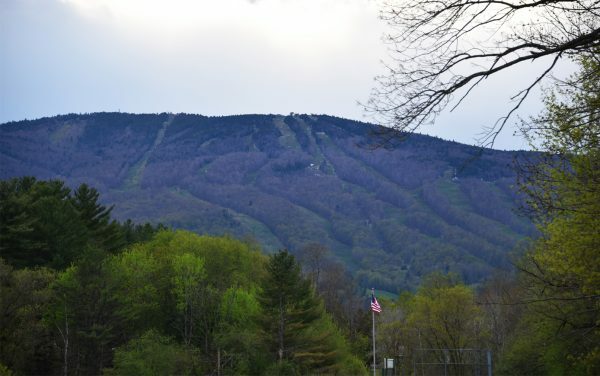 Within a couple of miles, the sight of the trails on Okemo Mountain greets me, along with a rush of memories – my grandparents’ farm alongside the Black River, no longer a series of fields but a smattering of homes crammed in together. I think of my father, who claimed to be the first motorcyclist to ride Okemo’s Mountain Road. He was on an Indian Scout that looked more bicycle than motorcycle. The condos clinging to the mountainside remind me of just how long ago my dad rode that virgin road. As I approach the center of Ludlow, I downshift and slip smoothly onto High Street past the old Black River Academy. My dad was educated there as was Calvin Coolidge. I feel the draw of Plymouth Notch as the memory passes and I bypass downtown and emerge onto Route 103 north of town. 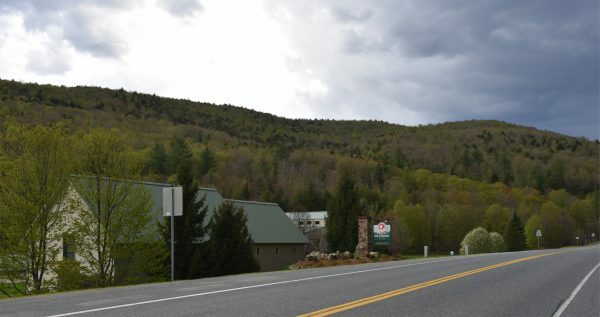 A mile later I take the right onto Vermont Route 100, winding along Windsor county’s lake region; Pauline, Rescue, Echo and Amherst, glittering jewels of pure mountain water nestled into the hillsides. I glance to my right and spot the beach at Plymouth State Park, formerly Camp Plymouth where I spent a week every summer during my Boy Scout years. So many skills learned there, so many warm memories. 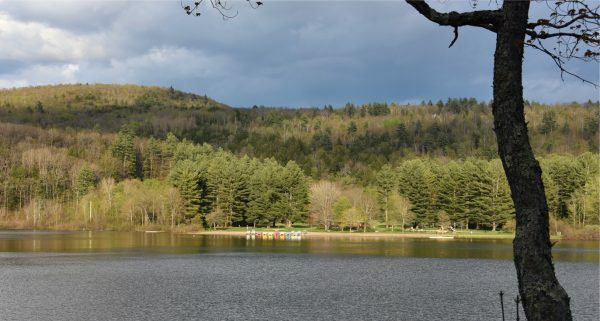 The last lake in the chain is Amherst, with its cliff sides and near bottomless depths. It is still reputed to harbor some very large fish. 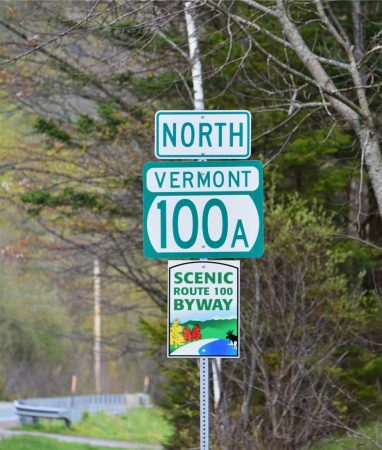 The road takes some entertaining twists as I power through and come up on the right hand turn onto Route 100A that steeply climbs up through Plymouth Notch. My grandfather had to back his gravity fed Model T truck up through the notch. Driven forward, it would run out of fuel on such a steep grade, but in reverse it ran perfectly, supplied by fuel from the cowl mounted tank. My fuel-injected Bonneville has no such issues as the power comes on and the steep notch disappears in the mirrors. Up ahead was a crossroads. 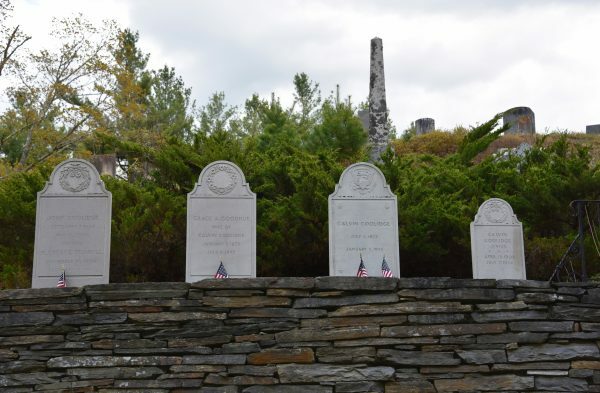 I take the right and come upon the Plymouth Notch Cemetery, with its stone walls and simple slab stones, one which bears the seal of the President of the United States. It is the final resting place of Calvin Coolidge. It is also the cemetery where my Aunt Cora and Uncle Paul are buried. My Uncle Paul was Calvin’s cousin, and I remember that you could see the family resemblance. After paying my respects I get back on 100A, choosing not to visit the amazingly preserved Coolidge Homestead, with its General Store that once served as the Secret Service quarters and offices of the summer White House. I recall the photo of a huge crowd taken in front of the store when Coolidge, Henry Ford, Thomas Edison, and Harvey Firestone held court on one of their famed camping trips. My father was there, sitting on my grandfather’s shoulders to see over the crowd. North of the Homestead the road meanders into a set of exceptionally tight curves, the sharpest of them slows me to forty miles per hour, exactly half what my Old Man claimed to have taken that corner on his Scout. Yes, it could be done, but not by me. Three miles along, I pass the road to the old family hill farm where my grandfather was born in 1888. Members of the family still own land and a hunting camp on that mountain, but I keep rolling, headed for the reward near the end of the road. Several miles north the road ends abruptly at the junction of Route 4 in Bridgewater Corners. I turn west and several hundred feet on the left is the Long Trail Brewery, set on the banks of the Ottaquechee River. There is an observation area where you can watch brewing operations. I’m pretty much a tea totaler, but I enjoy the atmosphere at Long Trail. The base of Bald Mountain is just across the Ottaquechee from Long Trail, and I remember how some family members would end up coming out of the woods near there after a long day’s hunt on the mountain that our family once owned and logged. As I shift up through the gears on my way home I look back on an invigorating ride among the hills that echo with history and personal memories. I check the handlebar mounted clock and figure I’ll be home just in time for dinner. 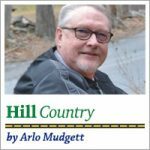 “Arlo Mudgett” is the pseudonym used by Chester, VT resident Bob Furman for the columns he writes in the “Brattleboro Reformer” and “Springfield Reporter” and for daily reports on WKVT and WKVT-FM in Brattleboro, VT. He owns a ’93 Honda Nighthawk 750 project bike, a 2010 Triumph Bonneville, a 2006 Harley Sportster 1200 and a 2014 Honda CRF 250 dual sport. He is a graduate of Boston’s Northeast Broadcasting School. He also attended Dartmouth College.